Architect turned furniture designer Rosanna Ceravolo makes beautiful wooden furniture which display her structural design skills, but instantly appeal because of the decorative and tactile detail Ceravolo applies to each piece. Her furniture has got her design studio in Melbourne shortlisted for the IDEA Emerging Designer Award 2013. 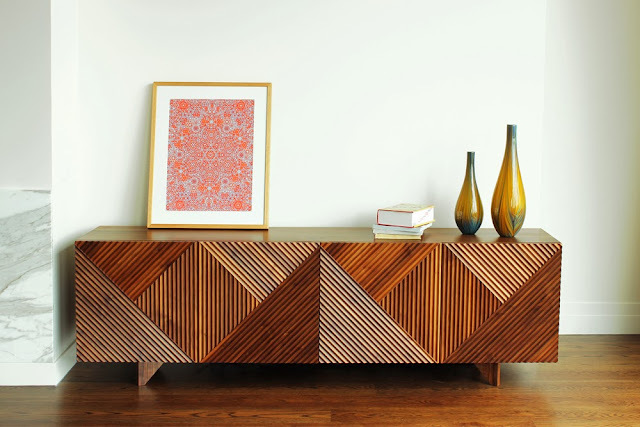 See here a sideboard from the Enzo range, a timber piece that features a faceted front exploring geometry and texture.